Get your hankies ready to be soaked. Oh, and postpone that manicure because you’ll nibble off those nails anyway. 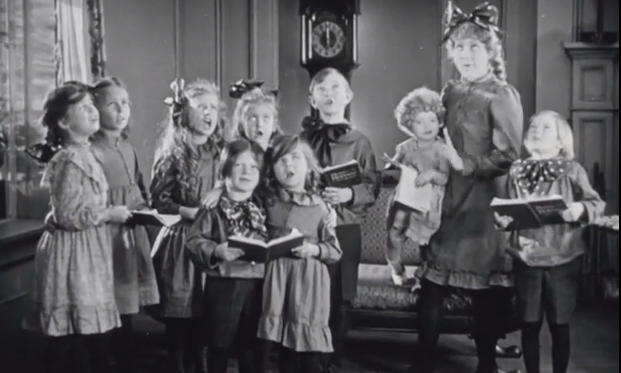 Whether you’ve never seen it, or it’s one you’ve screened countless times, William Beaudine’s SPARROWS (1926) is a both a tear-jerker and nail-biting thriller to be savored. Deeply hidden in the muddy, quick-sand and alligator-infested swamps of the deep south, there is a baby farm. The perfect setting for what is essentially a suspenseful horror film. Mr. Grimes is the evil man in charge of this nightmare. He, along with his wife/partner in crime and their brat of a son Ambrose, are relentlessly cruel to Molly and the other nine orphan children and baby. 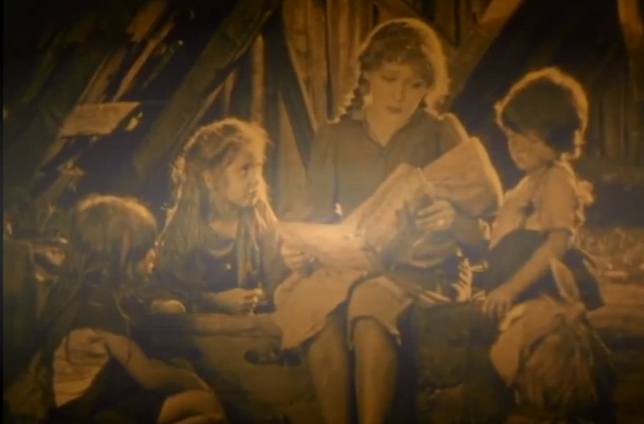 Mary Pickford as Molly is a hard-working, sweet-mannered survivor. She’s a spunky optimist who plays the protective mother hen to the other orphans (frankly, this is a character after my own heart.) Molly does everything in her power to keep her fellow inmates hopeful that help will somehow come – from telling religious tales as an explanation to their unanswered questions, to dancing a jig for entertaining baby Ann. Molly and the children try to sneak a note via a kite, as a desperate plea for help. 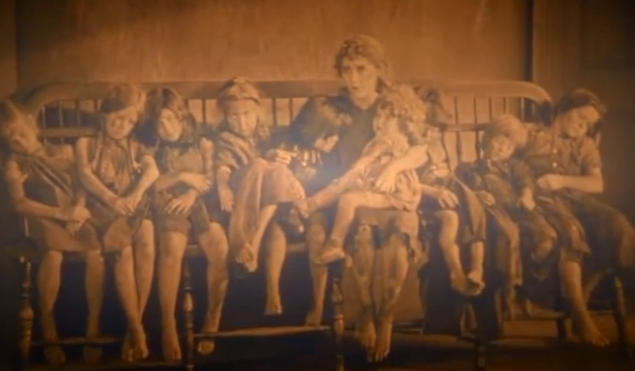 When they’re not laboring in the fields or hiding from Grimes in the barn, the children are starving and sick. Just as little baby Ann appears to be on death’s door with illness, a new baby arrives in a stormy night to the baby mill. Grimes made a cash deal to take in the new infant inmate, who was kidnapped from her wealthy father as insidious ransom plot. Thrilled to take in this pretty-as-doll baby, thick curls and all plump from her privileged, loving care, Molly is equally heart-broken and helpless to give baby Ann the same care. 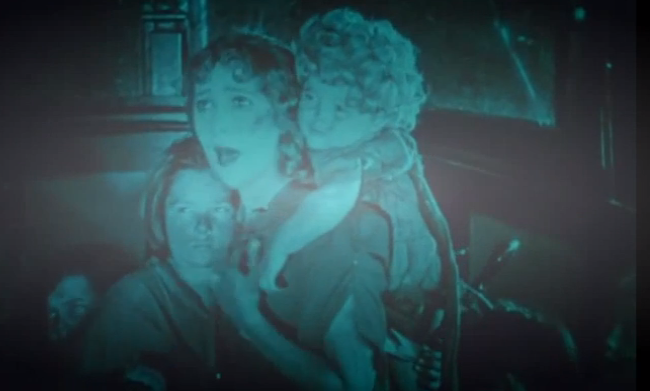 Despite her best efforts and love, soon baby Ann dies in Molly’s arms. 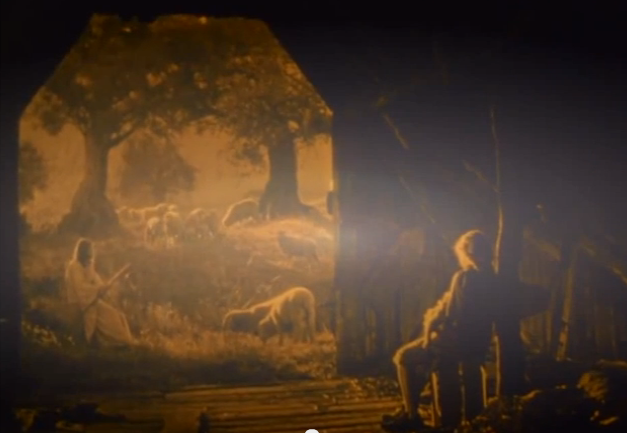 A poetic scene follows, as this unjust and tragic moment is explained via a religious vision. As an uneducated yet hopeful girl, young Molly has relied upon Bible stories and her faith as a tool for survival. This heart-wrenching scene exemplifies this in vivid imagery. Just when you think your heart can’t take anymore, there’s more. Grimes sees in the newspaper headlines that his wife’s warnings of this new baby bringing them trouble with the law may ring true after all. 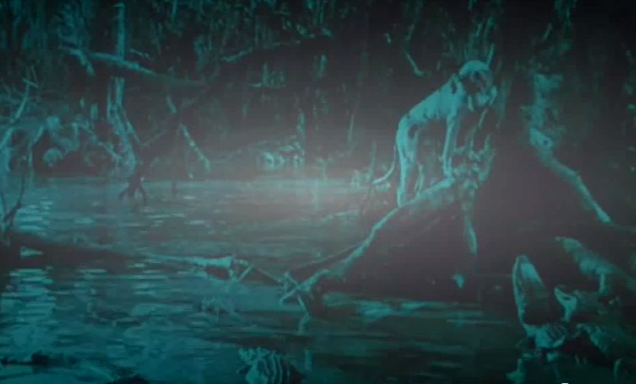 In a way that only a sadistic monster would conclude, Grimes decides to throw the kidnapped baby into the swamp. Ambrose chooses to cut him to the chase and cruelly hurt Molly by attempting to pitch the baby in the bog-holed swamp himself. Molly thwarts him just in the nick of time, then dad Grimes comes along to finish the job. Fear not, for this is the last straw for Molly. She’s able to keep him away from the baby. For now. At nightfall, Grimes tries again. But this time, our sweet yet strong Molly has a plan. 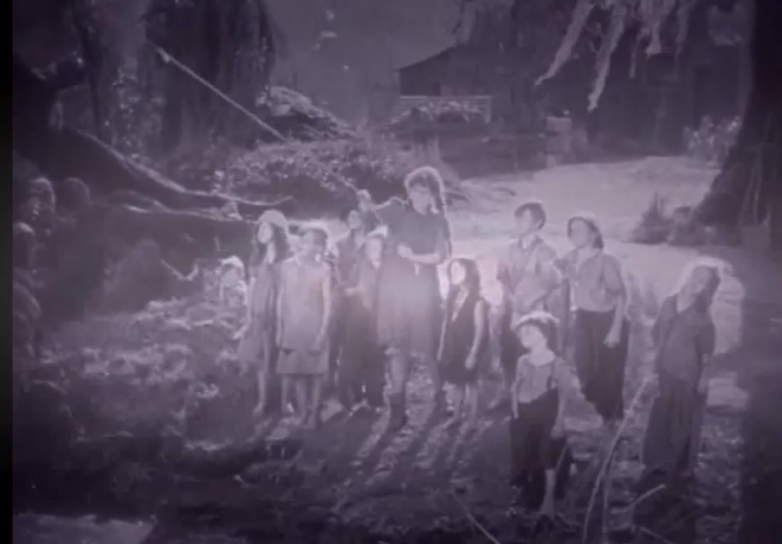 She and her orphan brood sneak out into the dreaded, dangerous swamp. But it’s their only hope to escape. Grimes rejoices because he’s confident the swamp will do his dirty work for him, that is until his evil cohorts remind him there’s no ransom money with no baby. Meanwhile, the law is closing in on the kidnappers and Grimes. 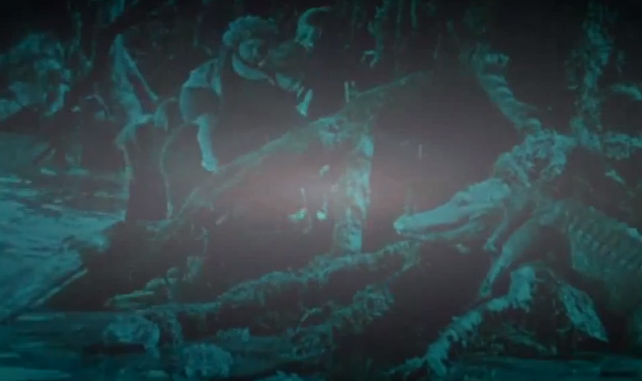 What follows is the most gripping, intense, nail-biting scenes of escape… with Molly and these helpless, frail children battling quick-sand-like muddy bogs, as they haphazardly climb tree limbs and barely escape hungry alligators! Grimes’ wife releases their dog to chase the poor orphan crew. To check your score card, this unlikely lot on the lam are being chased by an angry dog, a horde of alligators, Grimes and the kidnappers – all while maternal Molly keeps a close eye on each child in the dangerous swamp in the dark, with a baby strapped to her back! Luckily, the police and the kidnapped baby’s father are close on their tails (no, not the alligator tails, the kidnappers’). Molly’s bunch sneak from the swamp to a boat, as a shoot-out exchange between the kidnappers and the police peppers gun fire. Unfortunately, it’s the kidnappers’ boat so Molly and the kiddos aren’t out of harm’s way just yet. It’s a close call, but eventually the police boat is able to catch the kidnappers and bring in Molly’s kids to reunite the father and his kidnapped baby. In the end, it’s tough for baby and Molly to be happily separated so the father ensures Mama Molly has a nice, new home for her and the whole orphan congregation. 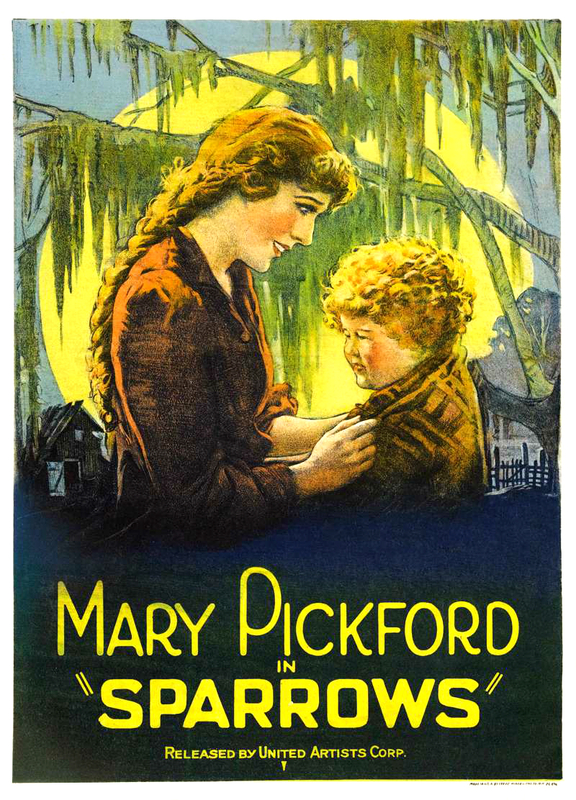 This was Mary Pickford’s second to last silent film, and basically her last role as “little Mary.” She tried a few ‘adult’ roles prior to filming SPARROWS (1926) but the public clamored for more of the long ringlets of curls and youthful charm that audiences had grown accustomed. Impressively, she was thirty-four years old when this film was released as she portrayed an older teen girl. I love this Molly character as she epitomizes all that is good in the eternal battle of good vs. evil, almost as much as Grimes represents evil. What makes this film so much more than just a simple case for melodrama, is the incredible building of tension in addition to compelling characterizations. This occurs after we are fully invested and sympathetic to Molly and the kiddos’ dire plight. The sets are deceptively authentic (thanks to incredible attention to detail by Art Director Harry Oliver, according to TCM.com). 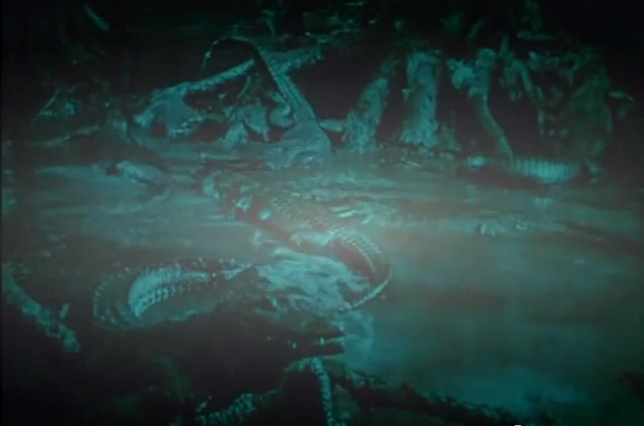 As for the frighteningly realistic shots with the alligators, cinematographer Hal Mohr dismissed any rumors that Pickford and the children were ever actually in any real danger. All the more credit to his talented special effects of photography. 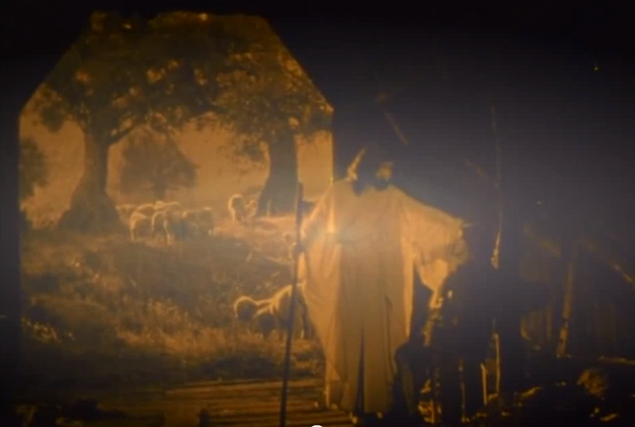 No doubt, SPARROWS (1926) possesses religious themes throughout. But I question whether or not it actually promotes religion in a fully positive light or rather it promotes faith of human spirit as an effective tool of survival when added to action. The film seems to suggest it is her enduring optimism combined with a great deal of courage and hard work. Ultimately, it’s up to the individual’s interpretation. As for me, I remain inspired by Molly’s constant courage, tireless maternal instinct and cheery optimism in the face of even the most grim odds. 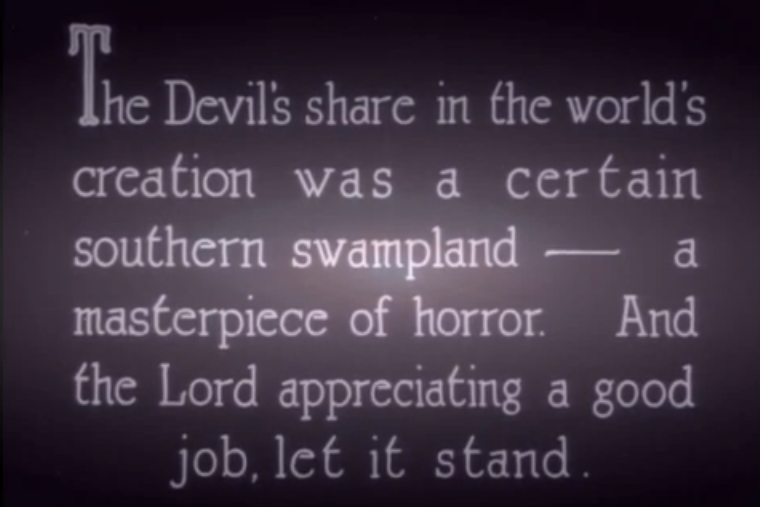 *On a personal note, SPARROWS is the first silent film I ever purchased. It’s a 3 reeler on 8 mm, which I bought at the Kansas Silent Film Festival a couple of years ago. 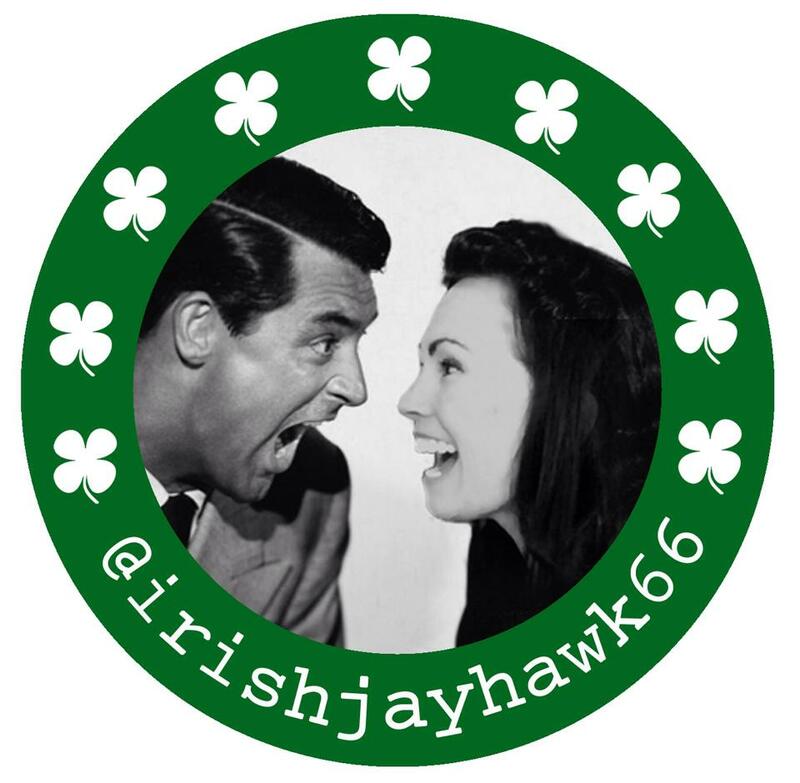 This post was my contribution to the ANTI-DAMSEL BLOGATHON hosted by Movies Silently and The Last Drive-In August 15-16, 2015. Be sure to explore their sites for complete lists of participating bloggers.